When you got a job in Gulf countries before you go there you have to pass gamca medical examination. and it's very important to know how to pass gmaca medical test. after getting gamca medical certificate from authorized gamca centers in India. you can travel to your dream country. At the moment many fake GAMCA centers are opened. Don't go through the broker, they can misguide you. 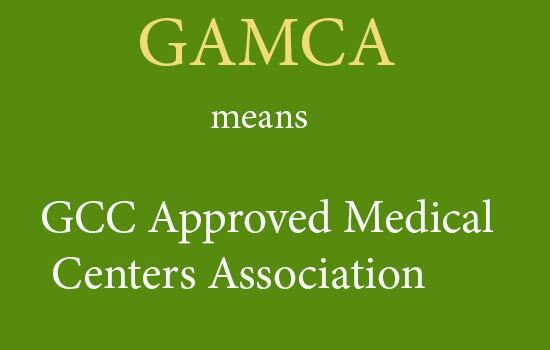 see below approved GAMCA medical list. I suggest you if you have any dought about your health. Do the private medical checkup and confirm, you are fit. Because in gamca medical once you unfit. then you will not be able to go GCC country for Job. So it's serious matter take it seriously. Following document you need to carry during gamca medical examination in india. 1. you should have an original passport and it's better take 2 photocopies of passport. 2. keep at list 15 passport size photographs. 3. If you are going Saudi Arabia or Kuwait, take photo with white background only no any other background color photo will be accepted by medical centers in India. 4. If you are going Oman take photo with blue background. 5. If you are going to Qatar and Dubai any type of background photo will be applicable. Note: Be careful regarding gamca medical test. Here I am going to give you an approved medical center list in India. What will happen if I will unfit in GAMCA medical test? How much GAMCA medical cost for Saudi Arabia from India? Will the doctors send my GAMCA medical test report to the embassy or I would have to carry it? How much time will take to receive GAMCA test report?